Palm Beach Motoring Group utilizes approximately 10,000 sq. ft. of warehouse space for the manufacturing of 5 different car care brands. With facilities set up for the pumping, labeling, and distributing of these brands, Palm Beach Motoring Group takes pride in seeing each step of car care product manufacturing from start to finish. Palm Beach Motoring Group headquarters features over 15 packing stations for order fulfillment, a 3,000 sq. ft. wholesale distribution area, and three separate shipping stations that allow thousands of products a week to be shipped from one location all over the world. 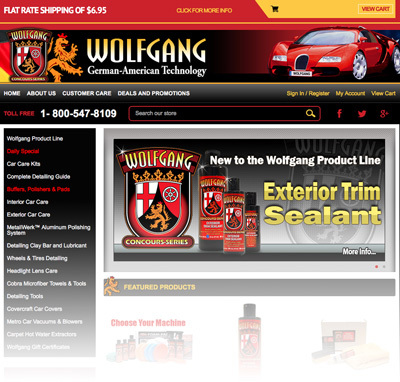 Palm Beach Motoring Group controls 6 separate websites, each offering a unique array of car care products. Brand specific websites feature in-depth product knowledge and support and all provide the best possible, competitive prices. Offering a selection of products from over 5 different countries, as well of all over the United States, Palm Beach Motoring Group is able to provide the best product selection available on the internet today. About Palm Beach Motoring Group. We are a manufacturer, warehouse distributor, & importer of car care products, auto detailing supplies and automotive accessories company located in Stuart, Florida. PBMG is the manufacturer of Pinnacle Natural Brilliance, Pinnacle Black Label Collection, Wolfgang Concours-Series, Blackfire, Marine 31, SpeedMaster Detailing tools and importer of Cobra Microfiber Products. In addition to our own brands, we are a warehouse distributor of a vast assortment of car care product lines to address all of your car care needs. We have online retail stores, 6 in-house brands and distribute over 70 brands worldwide. We have developed several in house brands that are distributed worldwide. These brands feature coatings, waxes, compounds and polishes and everything you would need to properly care for your car. Superior Auto Care Formulas with Science and Nature in Harmony. Pinnacle Natural Brilliance is a great product line, with Souveran wax at the forefront. Souveran is known world wide as one of the best Carnaubas for longevity, protection, but most of all for the incredibly deep, wet sparkle which is what everyone who knows what they want in a car finish, wants. Owners of show cars compete for this look. You’ll get it with Souveran. Detail like a PRO! BLACKFIRE shine is unlike anything else available. BLACKFIRE formulas are the result of over twenty years of research with state-of-the-art polymers from Germany, Sweden and the US. 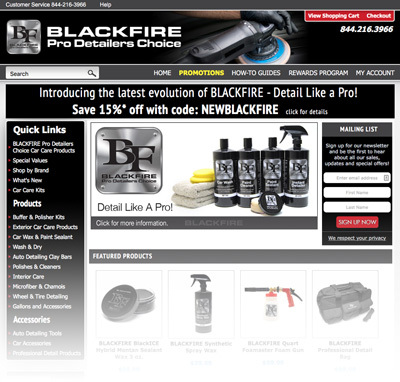 BLACKFIRE’s water-based car care products are surface friendly and VOC compliant in all 50 states. They are designed for easy application and lasting results; waxes and sealants wipe on and buff off easily without streaks or hazy patches and leave a shine that can last for six months or more. What started as a revolutionary wheel cleaning tool is turning into an entire line of must-have detailing tools. Speed Master Detailing Tools were designed to help detailing easier. The Speed Master Wheel Brush cleans today’s intricate wheel designs better than any other brush on the market. The Speed Master Wheel Brush has a thick, reinforced stem that bends to clean behind spokes and between the wheel and the brake caliper! The bristles are slightly feathered on the ends to gently clean delicate wheel finishes, such as coated or plated wheels, without scratching. We believe this is the ultimate wheel brush. Clean any type of design and any wheel finish with the Speed Master Wheel Brush. 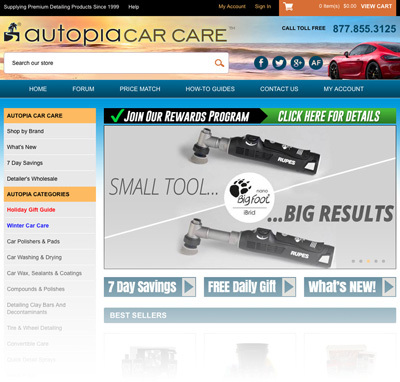 Our online stores – Autogeek, Autopia, Pinnacle, Wolfgang, Blackfire and Marine 31 are subsidiary’s of Palm Beach Motoring Group. Our stores offer you the highest quality of products to choose from with unmatched customer service. 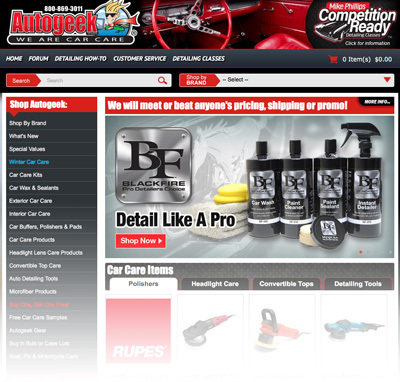 Autogeek is your number one car care source for auto detailing supplies, car care products, auto accessories, polishers, and detailing tools. Wolfgang Car Care has established itself as one of the premier car care companies in the world through our dedication to achieving a concours quality shine. We proudly feature our BLACKFIRE product line and include products from various manufacturers that we feel are the very best in their class. 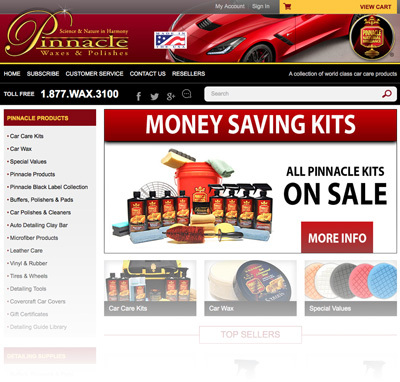 Pinnacle was born of a desire to create a line of premium auto care products for the enthusiast, a person who strives for perfection in every detail. 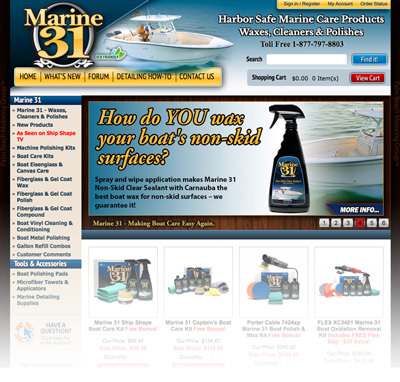 Marine 31 is your source for top quality boat and RV detailing products and accessories. The companies below are just a sample of the 1,000’s of products we carry. Remember our motto: The best products at the lowest prices, along with superior customer service. We work with a lot of great car care companies to provide this service to you. Whatever floats your boat, we’ve got it. You won’t find the selection or value that we can offer. And, we’ll have it delivered right to your front door.